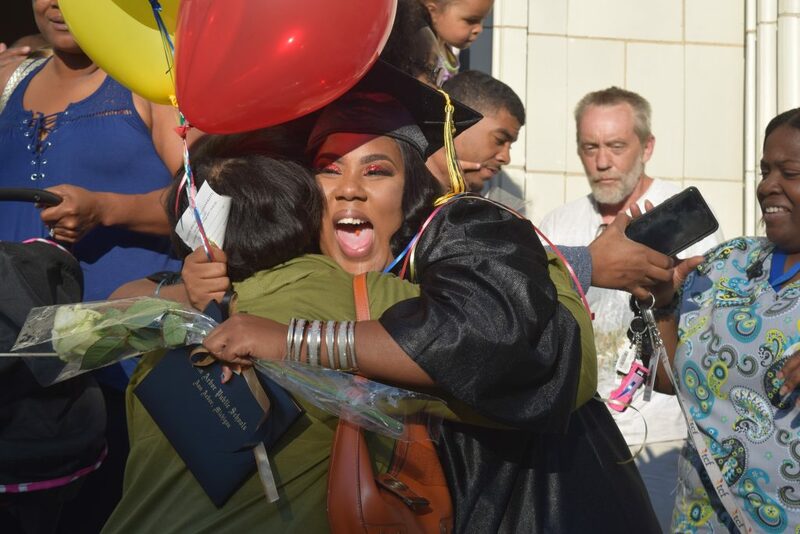 In accepting the Pathways and Adult Education class of 2018, Superintendent Jeanice Swift highlighted that the skills they have demonstrated so far, are what the graduates will need as they move forward in their journey. “The very same perseverance that brought you to tonight, the very same determination that got you here, will carry you forward out into the world to serve your role so well,” she says. 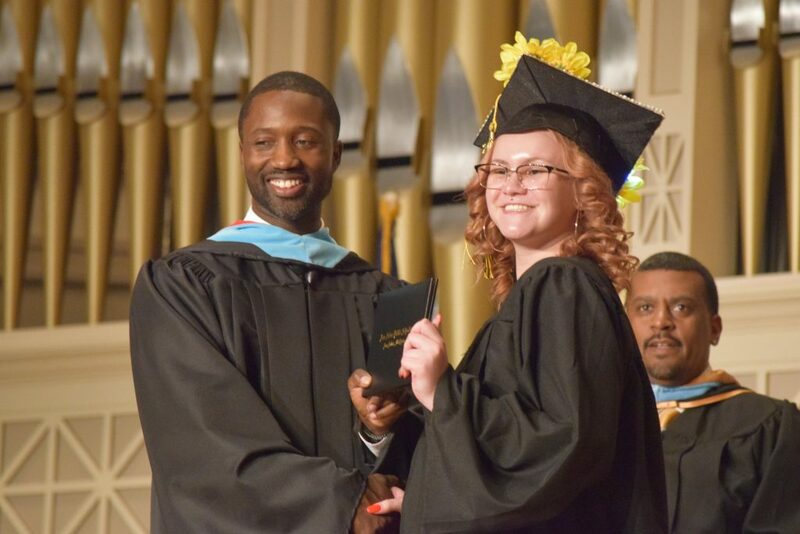 Additionally Alexis Harrison received the Principal’s Distinguished Honors award. 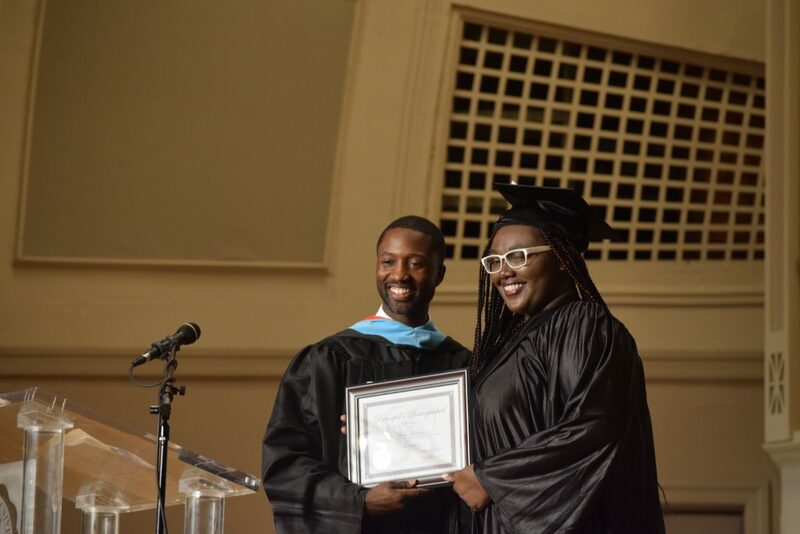 Pathways 2018 graduate Alexis Harrison receiving the Principal’s Distinguished Honors Award from Interim Principal Shaenu Micou.